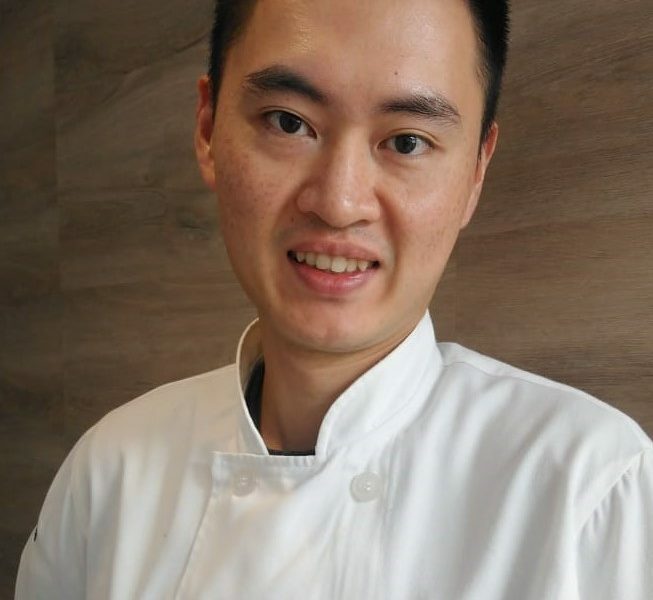 The Greyfriar is delighted to Host Bobby Chan, who will be bringing you a sumptuous 5 course meal. I am Bobby Chan. The head chef at the Man’ when I was just 17. My mother was a home chef and food was always a big part of my up bringing. Back in 1998, my father Ronald opened Man’s Chinese at the end of the busy High Street of Alton. During that time, customer always impressed by his smile and talkative character. I witness the transition of our customers’ preference. What they want is no longer just a classic “chop suey” style of food. I did not know what to do. Nothing inspired me and eventually I decided to study in a culinary school that was co-owned by Gordon Ramsay. This classical training allows me to understand where flavours come from before attempting to change the cooking method and whether the flavour of the dish will be negated or amplified. During this intensive course, I spent my 9 to 4 at school and 5-11 at Man’s. It’s hard, really hard but it nurtured me to become a professional chef who does not only understand how to cook but also appreciate the soul behind the food. My parents have been retired since 2013. What I have achieved is obtaining a food hygiene rating of 5, upgrading the menu and more importantly, listening to customer’s preference then creating dishes which everybody enjoys. By combining my passion and professional skills; a mixed culture of being a Chinese lived in UK since 1998; personal travelling experience; my food is all about precision, good quality, and cooking from my heart. In the future, my goal is to create more amazing dishes sourced from fresh local produce and seasonal ingredients to create a remarkable experience for all customers, what MODERN CHINESE CUSINE is all about. The revolution is now beginning.